We have a wide range of Certified Reference Materials of Titanium alloys suitable for use as calibration standards, type standards, Positive Material Identification (PMI) and Proficiency testing materials. 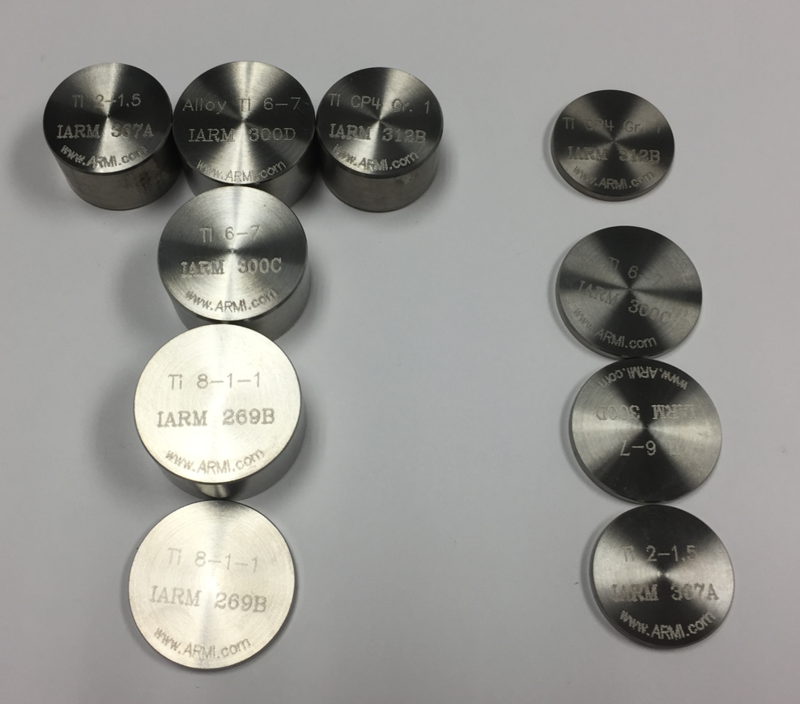 These CRM's are available as thin disks for XRF, thick discs for OE and chips for ICP-OES , ICP-MS and AA. These materials are also available as pin discs for GD-MS -AES on request.